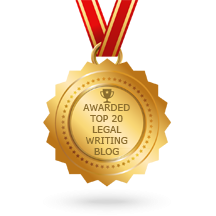 Legal Writing Benchslaps – Big Ouch! 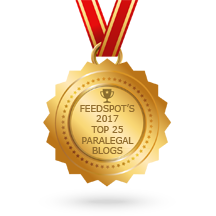 ≈ Comments Off on Legal Writing Benchslaps – Big Ouch! There are some basic rules of legal writing that are fatal to ignore. This post illustrates some of the most common errors that cost the author dearly. When the court goes to the trouble to benchslap the lawyer’s writing, take the court’s criticism to heart and avoid making the same writing mistakes. Appellate Court Benchslaps Trial Judge – Ouch. ≈ Comments Off on Appellate Court Benchslaps Trial Judge – Ouch. The only thing more stinging than a satisfying benchslap is the cool, crisp bite of a sly insult. The understated quip can often accomplish so much more than the breathless broadside. For example, an opinion reversing the court below that signs off with, ‘next time, we assume you’ll do your job,’ boasts more devastating heft than anything Justice Scalia served up. It’s just so cold. Citations In Footnotes? The Debate Rages On. ≈ Comments Off on Citations In Footnotes? The Debate Rages On. Nobody puts baby in the corner. And nobody puts citations in the footnotes — at least not in this federal judge’s court. Via the Twitter feed of Ross Guberman, a leading expert on legal writing, comes this benchslap from Judge James K. Bredar (D. Md.) . . . .